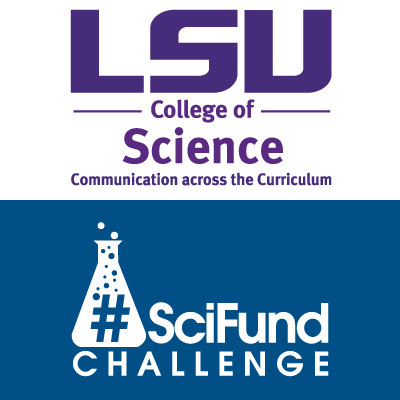 Welcome to Week Two of the SciFund-LSU Instagram class! Last week, we learned how to set up Instagram accounts, explored how others are sharing science there, and brainstormed what your goals are and who your audience(s) are on Instagram. This week, it’s all about the pictures! We’re ready to dive a bit deeper into “best practices” for sharing your science on Instagram and strategies for reaching your target audiences. And of course, we can now also focus on harnessing your creative photography and videography juices! We will equip you with all of the knowledge and tools you’ll need to capture great photos and videos to share your science with others in ways that will make their eyes pop! This week, we’re giving you lots of ideas about how to improve your Instagram content. Let’s lead off with the most important way to improve your pictures and videos: take more pictures and videos! So, while you’re keeping the ideas of this week in mind, your real focus should be on capturing as much content as you can. So, let’s get our practice on. On with the show! Instagram facilitates social interaction through engaging, in-the-moment multimedia. Other than having specific goals in mind and knowing your audience, there’s a very important ingredient to Instagram success we haven’t discussed yet – and that’s how to capture amazing visuals of your science! Quality, original visual content is a key ingredient for an engaging science Instagram account. While you may curate other users’ high-quality content (for example reposting to your feed(s) interesting content posted by other users you follow, or posting engaging public domain visuals such as NASA space telescope images), curation should also be paired with original content on your end. So we want you to learn how to take great pictures and videos that pique your viewers’ curiosity. Ideally, you will create Instagram content that both interests and excites YOU and caters to the interests of your target audiences. Anything you post on Instagram should should satisfy some curiosity, whether it’s your own or someone else’s, ideally in a way that provides information your target audiences would be hard-pressed to find somewhere else (making your content unique!) Active participation in content creation connects you to your audience and helps build your expertise as contributor. Things that make you say “wow,” things that puzzle you, things that surprise you, scenes or words that inspire you, things that you can’t help but “nerd out” over, things that are so beautiful they take your breath away, things that are visually strange or interesting, things that make you laugh or smile, things you have personal insight on – these things are the best Instagram fodder. And don’t forget to include the human element, or in other words, YOU. Users often follow social media accounts for science information and news because they want the perspective and personal insights of the author(s) of those accounts. In the following slides, we’ve provided a basic guide to capturing better photos and videos on Instagram, editing your photos and videos, and sharing them widely (use the full screen icon at the bottom of the Slides window to make the slides full-screen) . Throughout this course, we are encouraging you to take your scientific experiences and to visualize them. But why should we care about using visual platforms such as Instagram to share our science or experiences as science students/researchers? One reason is that Instagram is an increasingly popular social network, especially among younger audiences today. But another reason is more fundamental to the nature of visuals. We care about sharing science through a visual platform like Instagram because visuals, like photographs, selfies, videos, infographics, etc., are a universal language. (There’s a reason people say that “seeing is believing.”) Visuals can capture people’s attention and draw people into stories in ways that words often don’t. Visuals, such as selfies, have the power to make people (including, yes, scientists!) more human and relatable. Some of the most powerful visuals are those that are perceived by viewers as natural, unposed moments of human interactions and experiences, such as the in-the-moment video or selfie of a researcher who just found something amazing in the field, etc. The human brain can actually process visual information more quickly than it processes text – up to 60 times faster. Visuals can be persuasive, extremely memorable, and have strong emotional impact on their viewers. That’s why we plot our data or make infographics instead of just presenting a list of numbers. It is much easier and faster to read information this way! When it comes to science communication, visuals can be a very powerful tool to help people understand complex scientific concepts and to help science, and scientists, become more accessible and relatable. As you shoot video and photos you will want to establish a strong human connection or show things in a level of detail that can be difficult to express in words. Go back to the concepts we learned in week 1: identify your audience, understand what they are interested in, and use that to connect with your audience. The most powerful visuals are the ones that connect the audience to what they are passionate about. In the post shown above, @couretlab (taking this course right now!) does a great job of showing a playful picture and then inviting her audience to comment with potential captions. So not only is the picture attention grabbing, but the caption invites engagement. This interaction leads to further engagement down the road, which is precisely what we all want! Because of the power of visuals to communicate scientific details, concepts, ideas, values and even emotions to their viewers, as science communicators we need to be careful with how we use visuals to communicate science. Any photo, if it leaves certain things “out of the picture” or is edited too much, can be misleading. In communicating our science visually, whether in a photo, a video or a graph, we want to be accurate and responsible. Try to provide enough context for the visuals you post on Instagram, either within the visual itself or in the caption, such that viewers get an accurate and complete picture of what the photo represents in terms of your science, your scientific findings or your experiences as a scientist. For example, you could stick your phone into a fume-hood in a chemistry lab and take a photo from a particular angle to make it look like you were working with a hazardous chemical without the protection of the fume-hood – but that wouldn’t be accurate of what really happened. But when you change the perspective and include yourself in the image, you can demonstrate the danger of your research and the lengths that you will go to take proper precautions. The result is showing the same scenario but telling two completely different stories. Science visuals can be incredibly engaging and informative. But it can take some thought and effort to make sure that your visuals include the right amount of information and aren’t misleading or confusing in any way. 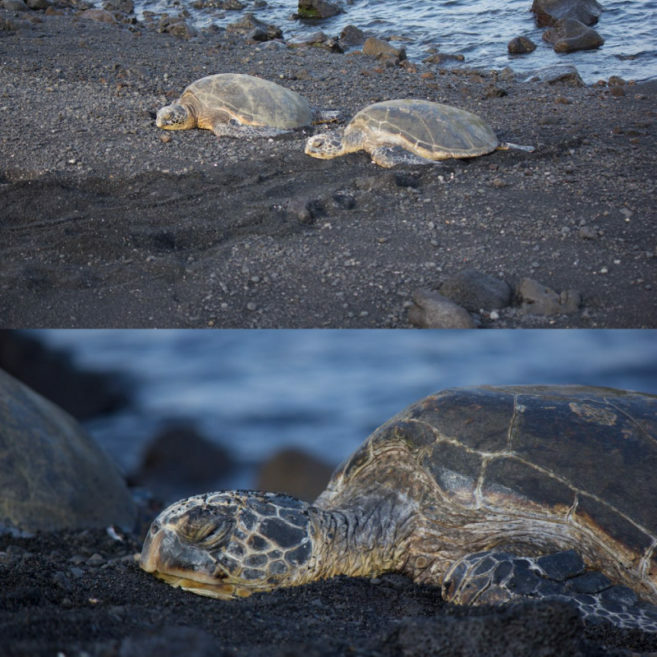 In the example above, we demonstrate two pictures of Hawaiian honu (sea turtles). The only difference between the two is the size of the zoom lens used. In Hawaii, the turtles are a protected species and people are not allowed to touch or get close to the turtles. Sharing the closeup image without context and explaining the situation would give viewers the impression that the photographer was close enough to touch the turtles and may therefore encourage visitors approaching the turtles. Plan your visuals such that the main point you are trying to make or the key concept or idea you are trying to communicate is reflected in the visual. How is the imagery framed? What is included in the image and what has been cropped or left out? What are the dominant colors?? What emotions are reflected in any faces included in the visual? What’s in the background? What’s the action, or what is happening in the visual? All of these elements should complement what you are trying to communicate with this visual on Instagram. Remember to keep your subject matter in mind at all times. Initially this may feel very challenging, but as you develop your photographic eye this will become easier and quicker. But with that said, even the best photographers in the world take their time to capture the perfect image. You can read more about the psychology of visuals related to science communication here. Let’s start off by taking a look at the following slides for tips on to boost your science on Instagram (as before, hit the full screen icon at the bottom of the Slides window to see the slides in full-screen). Sharing science effectively on Instagram and making the experience meaningful and sustainable for yourself requires always remembering what Instagram is really about: facilitating social interaction through engaging, in-the-moment multimedia. Instagram emerged as a successful social media network thanks to smartphones (a nearly ubiquitous technology in the world today), smartphone cameras and the internet. Most of us have access to a smartphone that has at least one, often two, cameras (the normal back-facing camera and the “selfie” camera) and constant connection to the internet. Thanks to this technology, we can in a matter of minutes or even seconds (or even in real-time thanks to new Instagram Live video) take a photo or video of our experiences and the things around us and upload them where other people can see them, browse them, search for them, like them and comment on them. To Reminisce. We invite others to look at photos we have captured, perhaps to remember an event or memory we shared together. To Tell Stories. As humans, we have a long and rich history of storytelling. Every human craves stories, even from a very young age. We tell stories to preserve our past, to share our values, to pass lessons we have learned down to our children or on to our friends, and to make sense of our current experiences, struggles, thoughts and feelings. With Instagram, users can tell a story through a photo or video, and with a caption tell the story behind a picture to others who weren’t there in person. Self-expression. Through Instagram, we can share our experiences, moments in our day, and our thoughts and feelings through visual content. We can create art or express ourselves in ways that we might not otherwise have the opportunity or feel the freedom to. As the Instagram user-base grows, so do opportunities for finding others who share our interests on this visually rich platform. As photo and video sharing have exploded in the social media landscape, scientists and science communicators have taken up Instagram as a way to share science visually in ways that most people would never otherwise encounter in everyday life. The best Instagram content is often experiential – it takes people on unexpected journeys. Imagine an undergraduate art student being transported to a research site in Belize where a biologist is studying tree frogs or a mysterious new bird species. Through video, pictures and Instagram Live video chats that the biologist uploads from the field, this student could be exposed to artistic inspiration he or she might never otherwise experience in such a personal way, through someone he or she has come to know through Instagram. Further, Instagram helps make science and science experiences accessible to groups that may not be able or inclined to field work or perhaps have even thought your research was reseach! We have found Instagram to be a powerful tool and platform for visual science communication. Through Instagram, we are able to use real-life imagery (and art we create) to communicate our work, our lives as scientists or students of science, our passions and the importance of science as we see it. Consider using Instagram to show other people what science looks like for you. Through visuals and captions, invite other people to come on your science adventures with you. What do your core values, your interests, your passions and your everyday experiences related to science look like visually? What does science look like for you? What does a scientist look like for you? Think about these questions and let your creativity shine on Instagram. The technical term for a photograph is actually an exposure. In the ancient time of photography, cameras used a material called film which was sensitive to light and required chemicals to develop the image that was captured. This required a process where the film was briefly exposed to light. In today’s modern society, we still use an exposing process, but instead of film we expose a chip designed to capture light. The benefit to us is that we get to take lots of pictures. And we mean a lot! Have you seen this picture that Anthony posted to Instagram? It took over 50 exposures and a careful eye to get that one single image. Luckily all that was required was time and a memory card with some spare room. Sometimes, for whatever reason, the image will turn out blurry, or an object may hide your subject, the wind could be blowing in the wrong direction, you get an itch, or the focus on the camera is off, or a million other things could go wrong. 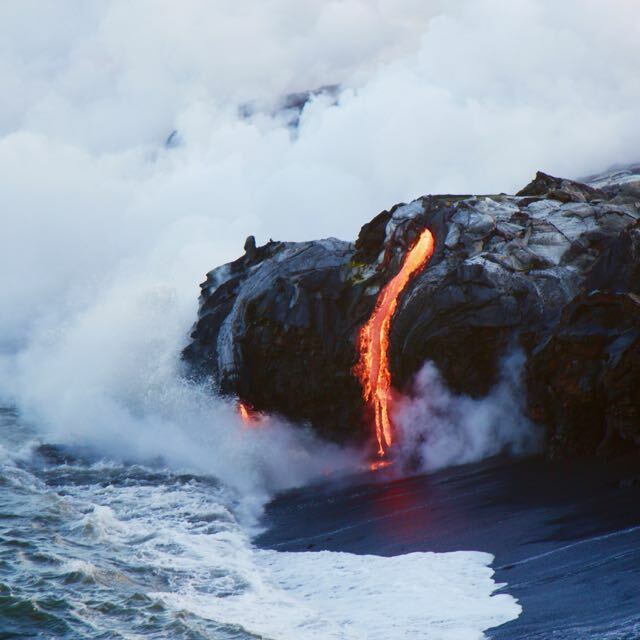 In this photography example, time was needed to ensure the outcome contained the desired result: a clean shot of lava pouring from the earth creating new land. If you are interested, the slideshow below contains some of the pictures that didn’t make it to the show pile with explanations of why they weren’t selected. You may not want to spend so much time capturing a single image, but it is foolish to expect to capture the best moments in a single take every time you whip out your phone or camera. These moments of photography frustration can help you develop your photographic skills when they are most needed. Sometimes you have the time to perfectly position your subject, you can tweak your camera settings, you can adjust the focus. Other times you need to act quickly and hope for the best. In both instances, experience with your camera and with various subjects makes you better prepared to deal with all of this for future opportunities. Don’t stress too much about getting the right photo the first time you take a picture. Remember there are two stages to getting a great photo. The first is when you are actually taking a picture. The second comes later when you get to look at your results, choose your best, and then edit them for better appeal. Capturing the right photo takes practice to leverage both skills. So get out and shoot, shoot, shoot! Sign up for one Week 2 Hangout. Using the tips here post at least 5 pictures to Instagram. Note: these tips are guides and it is not important to use every tip in every photo. Use your best judgement and experiment! It may even be best to take photos using your camera app and then selecting the best image in Instagram. Edit your photos before you post them. 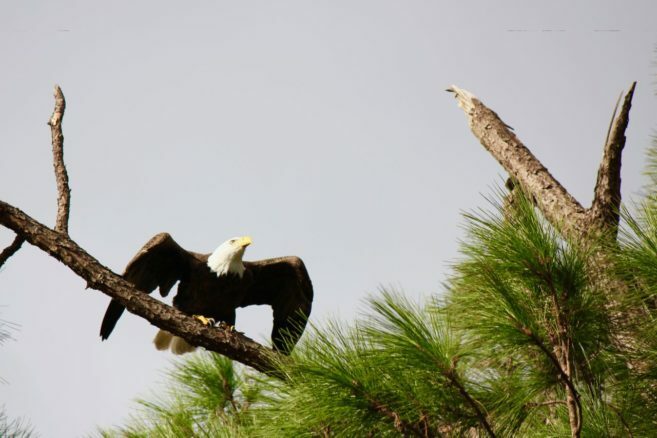 Get a feel for how an editing process changes a photo and then adjust to your preferences. Remember: a little goes a long way! Your camera typically captures colors not as they appear, so play with the saturation until you achieve your desired outcome. Post no more than 2 of your images using Instagram’s filters. Make sure the filter suits the intended mood of the image. For instance, use a black and white filter for dramatic effect. Some filters add a film appearance and wash out colors, while other filters dramatically increase contrast. Experiment and get a feel for what each filter does to your photos. Comment on 5 images posted by your classmates using #lsuscifund or browsing your feed. Share what drew you to the picture and what you like about it. Is the subject clearly the focus of the image? Can the photo be edited to highlight the subject? Would a different perspective provide a more appealing or dramatic shot? Does the caption complement the photo? Using feedback obtained on your posts, continue taking, editing, and sharing photos to your feed. Remember to use #lsuscifund and other relevant hashtags. Bonus Assignment: Share a short video. Focus on the message or story of your video and keep it short. Remember to keep your audience in mind. How is this relevant to them? Bonus Assignment 2: Post your first “Story”. A Story is a single image or video, or series of images or short videos, that might tell a story about your day or a science project you are working on. This should be posted through the story portal of Instagram (on the iphone app, swipe left from your default Instagram feed), and the story will disappear after 24 hours. Since the story will disappear, just get creative and don’t worry so much about image/video quality and planning! Consider posting a “behind the scenes” story of your science, your studies, your life as a scientist, etc. Check Instagram daily and look for fellow class participants’ posts. These will appear at the top of your feed. Share your thoughts with them in a direct message.